Fonderia Venere srl was set up in 1972 owing to the resolve of the Quirico family, still present all the more determined to support new die-casting production techniques. It began casting handles for ball valves and household goods to later widen the range with components for the mechanical industry such as textile, agriculture tanning and telecommunication machines, and design, specialising in the die-cast aluminium casting, also vacuum, for complex items that require the highest precision. 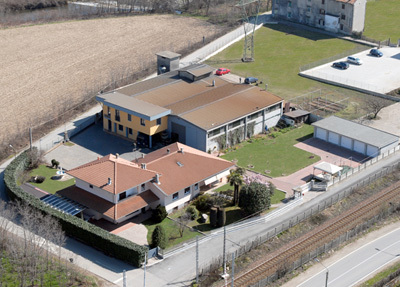 Venere srl has eight oil-pressured presses from 150 to 500 tons, three of which are totally robotized. If necessary it cuts and sandblasts the items and for small series it also makes trimming and mechanical processing. It can provide the finished product, varnished or polished. The varnishing and the polishing are made by some trusted workshops. For the production, it used moulds owned by the customer or provides necessary assistance to make new ones. The ordinary upkeep are made by inside workshop. Venere in addition can purchase directly raw material or receive it from outsources. Venere can provide cold chamber brass and zamak small series. In 2007 Venere certified its Management Quality System which fulfills the requirements of UNI EN ISO 9001:2000.